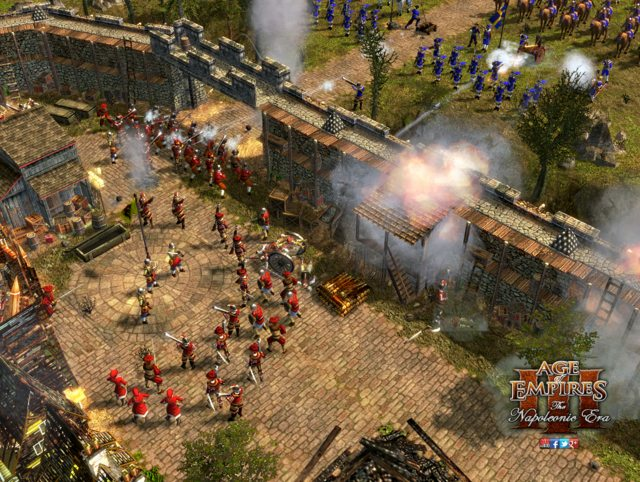 Napoleonic Era is and has been one of the most popular mods for Age of Empires III and its expansions The Warchiefs and The Asian Dynasties for over 8 years. 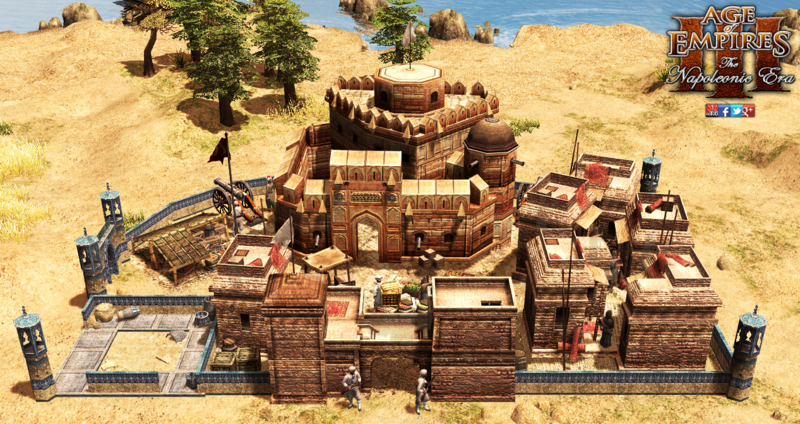 The project was founded in January 2006 at the German Age of Empires site age-community.net by Alexander Fleger and is being continued by Peter Piepenburg since February 2010. 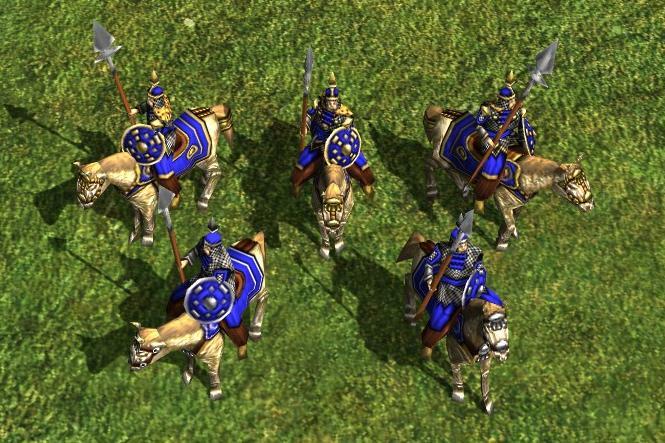 The mod intends to raise the historical, visual and technical quality of Age of Empires III and live up to the things that made the Age of Empires series great. 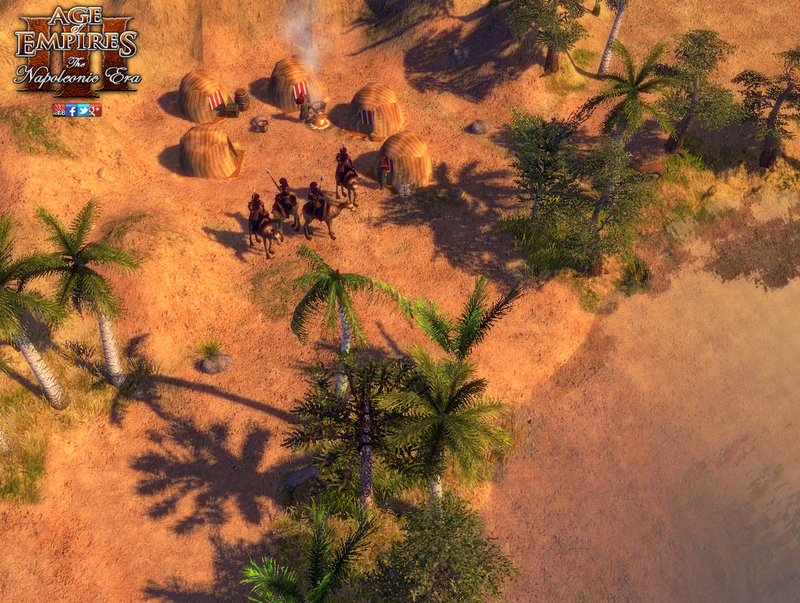 It tries to do so by greatly expanding and reworking the game with new units, buildings, maps, sounds, music, civilizations and a better AI. Unlike the original game, Napoleonic Era also covers Europe, Africa and Western Asia as historical spheres of interest. 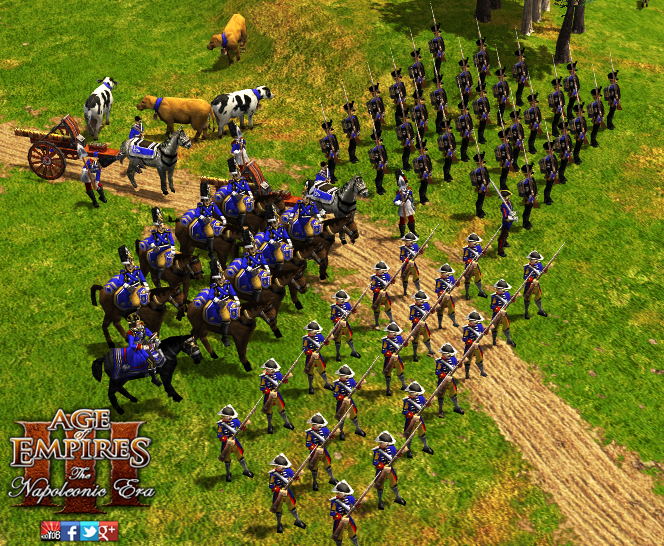 The mod's theme peaks in the year of 1815 that marks the end of the Napoleonic Era and Wars which rank among the most influential military events during the time period of Age of Empires III. 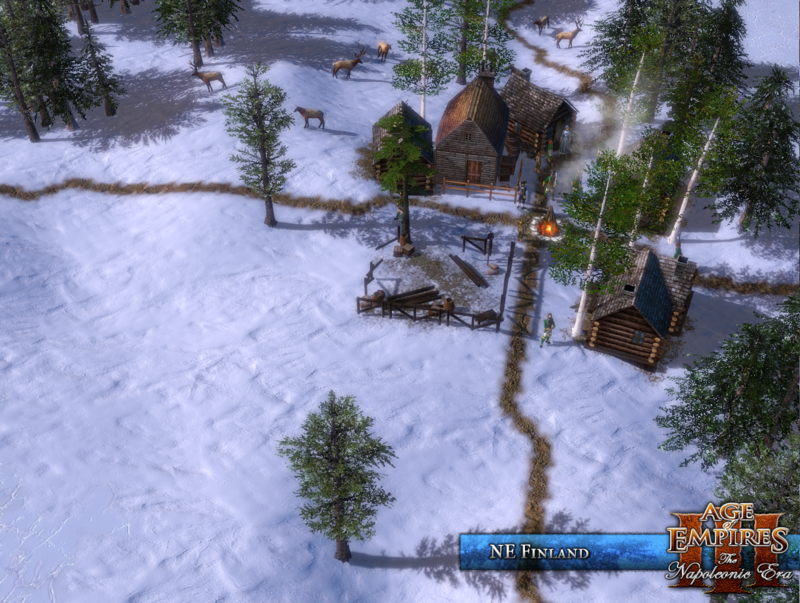 Napoleonic Era expands the original game with new civilizations, units, buildings, random maps, natives and gameplay features. 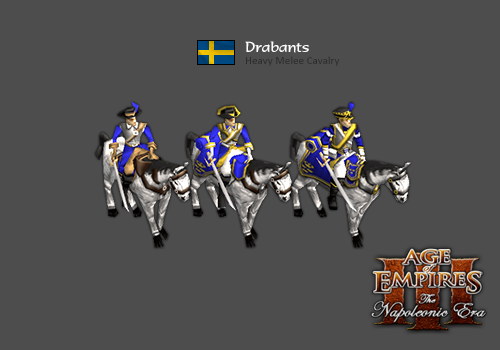 For the next version NE 2.2 also a Danish and Persian civilization have been announced. 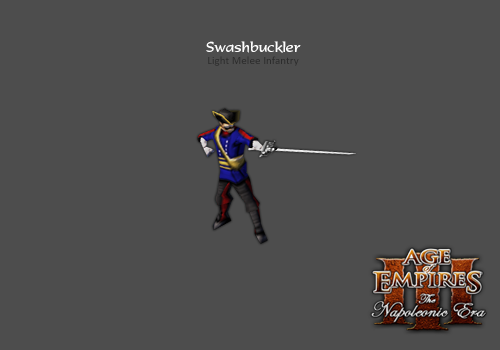 Unit abilities - New and old units like Explorers, Marines or Nuncios received new unique abilities. 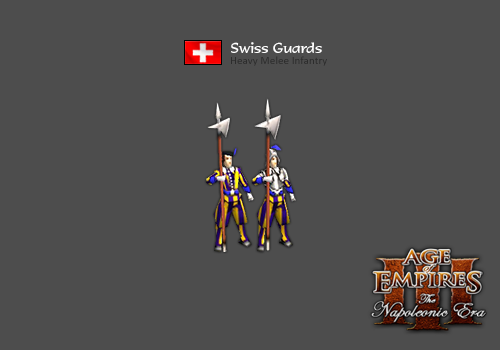 Napoleonic Era (NE) was founded at the turn of the years 2005/2006 in the German Age of Empires community age-community.net by Alexander Flegler (Kastor/Alexastor), who was in spite of his own modding ideas inspired by a friend to add a Swiss civilization to the just recently released game. 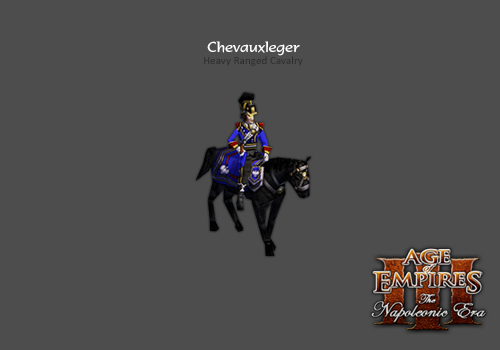 Napoleonic Era soon grew from this and was getting discussed more frequently at the widely known forums of Age of Empires III Heavengames (AoE3H). A direct consequence of the quickly gained popularity was the attraction of future members with useful skills. 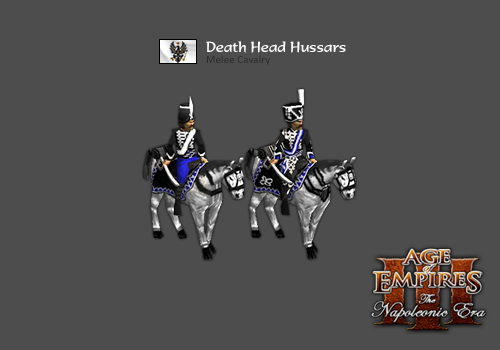 After seeing the valuable balance suggestions of Fernando Barbosa (Walker) and Matthew Sher's (Imperiosus) impressive texturing skills Alex successfully requested them to become Napoleonic Era's balance and graphics lead. 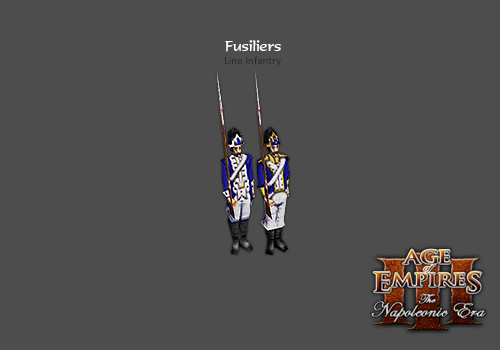 The huge interest in Napoleonic Era soon led to the creation of an own NE website which was initially set up by David Rosehnal, (is still) benevolently hosted by Luciano P. (Elpea) and was later maintained by Michael M. (michfrm), who would also realize a new website design. Peter Piepenburg (Tilanus Commodor), a historically interested user from the age-community.net joined the team early on as a researcher, community manager and advisor. 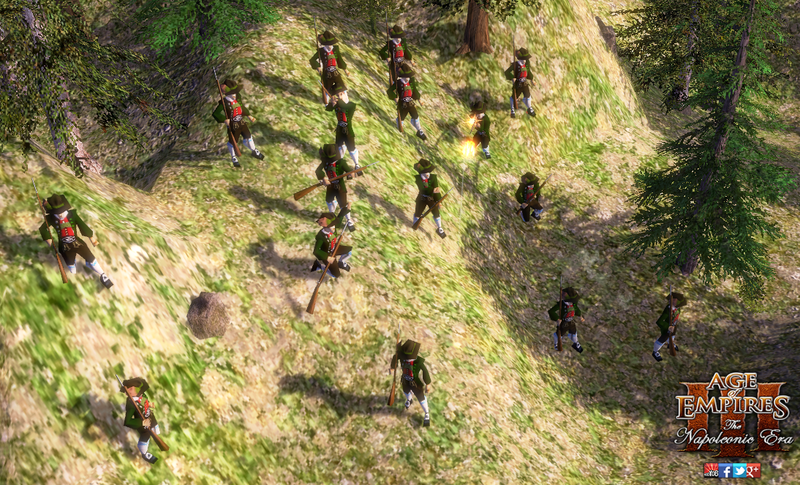 After having released version 1.0 for the base game at the end of 2006 the NE team eventually focused on upgrading Napoleonic Era for both upcoming expansions until July 2008. Jan Juvstad (Seraphim), who had joined the project as balancer and coder was bearing more and more responsibility for the project as Alex' attention was increasingly slipping away to other projects. This first team generation would still push Napoleonic Era further to version 2.01, which was released one year later on 16th June in 2009. After a long downtime the project was picked up again in February 2010 by former advisor and community manager Peter Piepenburg, who has been continuing the project since then. Soon a new team was initialized with versed advisors like Valentin P. (Ca Putt), web adept Da Bozz, AI Scripter Richard F. (Zephyr_Arsland) or the technically and artistically talented Guillaume P. (Yomgui). The following, very busy years of game design studies, various modding activities and countless iteration loops finally led to a general refocusing of the project both, back to the roots and towards new shores. The release of version 2.1.5 in July 2013 marks the turning point for these ambitious goals that the team tries to achieve together with its devoted community and specialized assistants. These have always been signed up since the very beginning of NE to improve or expand particular aspects of the mod. Special mention goes to map scripters like RF_Gandalf and AOE_Fan, passionate advisors and content creators such as PredatoR, The Dude, Persian_Fusilier, Wojtek and the numerous supporters from within the fan and modding community like SAOL, peugeot407, Edeholland, Harkimo and many more. 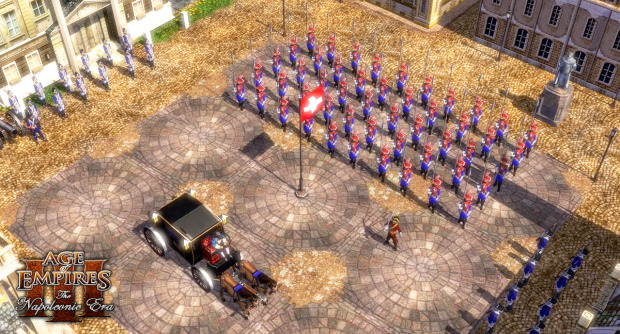 The current NE core team with new talented members like coder kangcliff or designer JRussell has already proven with its latest updates that Napoleonic Era is a mod project that still keeps for surprises and people excited about it as if it was still 2006!